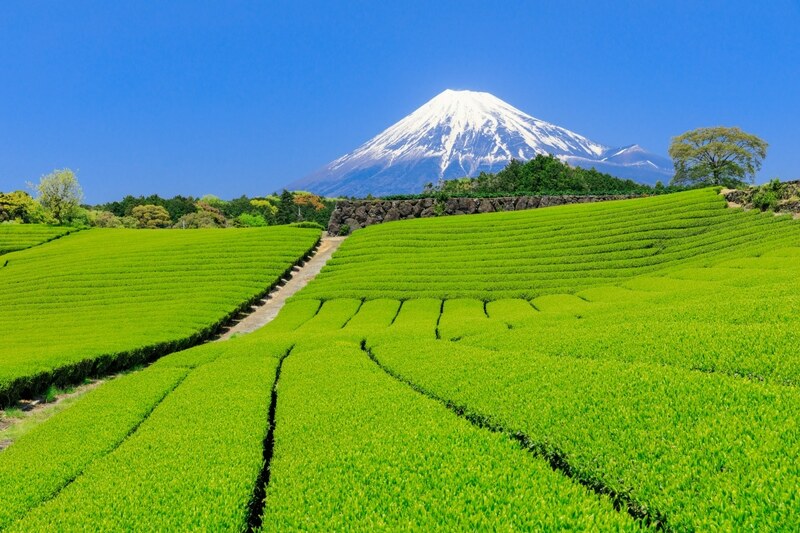 Mount Fuji—a volcanic mountain that's a symbol of Japan and UNESCO World Heritage site. It's a travel destination that's been captured in countless photos, one that visitors flock to every summer in order to conquer its towering peak and experience the breathtaking view from the top. Read on to find out how to have a safe and smooth hike! Mount Fuji is a composite volcano said to have formed approximately 100,000 years ago. At 3,776 meters (about 12,389 feet), Mount Fuji is the highest mountain in Japan, dwarfing the next tallest mountain, Mount Kita, by over 580 meters (about 1,903 feet). It rises solitarily in the middle of Japan's main island, Honshu—unlike the peaks in mountain ranges like the Japanese Alps—and is instantly recognizable for its almost perfectly conical shape and snow-capped peak. It's wonderfully photogenic, and on clear days it can be seen from miles away in neighboring prefectures. Its proximity to Tokyo makes it an easy destination for a day trip—either to the mountain itself or numerous viewpoints in the surrounding area. Some 300,000 climbers visit the mountain yearly, making it one of the most frequently visited mountains in the world. 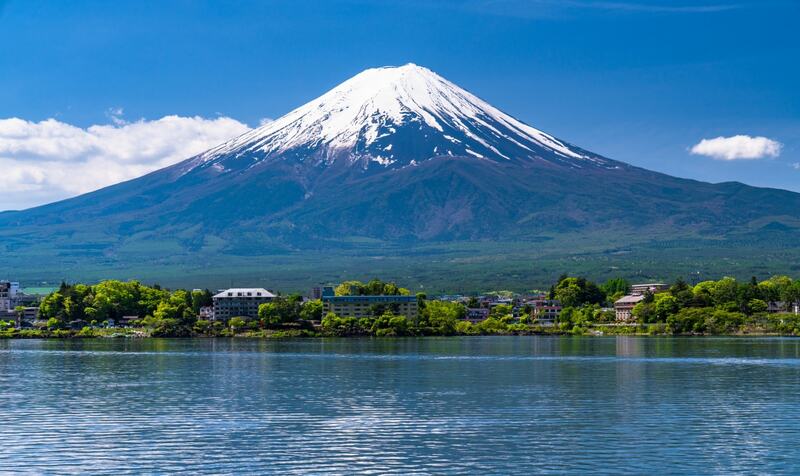 In addition to being the most popular mountain in Japan, Mount Fuji is also designated one of the "100 Famous Japanese Mountains," and is arguably the most famous of Japan's "Three Holy Mountains," which includes Mount Haku and Mount Tateyama. For both short-term visitors and lifelong residents of Japan, it is a peak that many feel compelled to climb at least once in their lives. This is true of both hikers and non-hikers alike. Although it's not a particularly difficult climb in summer compared to other peaks, its height and isolation from other high mountains mean that Mount Fuji is not without its challenges. Severe weather is a possibility throughout the year, including summer months. Altitude sickness is also something to keep in mind, especially for those who are sensitive to it, and the climb can be quite fatiguing. Plus, even though its last recorded eruption was over 300 years ago (in 1707), it's still technically an active volcano. All that said, if scaling Mount Fuji is on your bucket list, we've got all the information you'll need to make the climb—but keep in mind that this information is specifically for the official climbing season and that we don't advise climbing at any other time of the year. Mount Fuji, like many of the larger mountains in Japan, has an official climbing season. It's usually early July through early September, and often closes around September 10th. Mount Fuji has several routes for climbers and the opening dates differ by trail, depending on how quickly snow melts from the passes. The Yoshida Trail, which starts in Yamanashi Prefecture, usually opens first. The other three trails, all in Shizuoka Prefecture, typically open later. If you plan to climb Mount Fuji at the beginning or the end of the season, it's worth it to double-check that it's open for climbing. You can check the official opening and closing dates here. Climbing Mount Fuji during the off-season is "prohibited," but not technically illegal. However, it is certainly not recommended for inexperienced climbers. Not only is it potentially more dangerous, especially once it starts to snow, but the huts and public restrooms that dot the routes up the mountain are closed for the rest of year, which means there's no shelter, concessions or rest stops along the way. It's worth noting that fatalities from climbing in the off-season—especially in winter—are relatively common, including experienced climbers with winter hiking experience. Fuji is often used as a training mountain for climbers preparing for Himalayan ascents, and should not be taken lightly. This trail, located in Yamanashi Prefecture, is by far the most popular—it also happens to be the trail that has the most huts and facilities available to climbers and the trail that opens the earliest (typically around July 1st). It's the easiest trail to access from Tokyo and has direct bus service from Shinjuku to the fifth station. All of this convenience comes at a price—this trail is often crowded, and prone to “traffic jams,” (imagine standing in line for a ride at Disneyland but on a mountain) especially on weekends and during the Obon holiday in August. It's estimated to take about six hours to ascend and four hours to descend. The Fujinomiya Trail is the shortest and most direct route to the summit. It starts at a higher elevation than the other trails (at 2,400 meters, or 7,874 feet). It's also the steepest trail to the top, and quite rocky, but there are mountain huts at every station. This trail doesn't offer a view of the rising sun en-route, so if your aim is to see the sunrise, you'll need to be sure to reach the summit in time! The estimated hiking time is five hours to ascend and three hours to descend, and it gets about half as many climbers as the more popular Yoshida Trail. This trail starts in Shizuoka and then joins the Yoshida Trail from around the eighth station. It's a relatively gentle climb, with more trees than any of the other paths. The trailhead starts a bit lower, at 2,000 meters (about 6,562 feet), and it takes about six hours to ascend and three to descend. This trail is by far the longest of the four routes to the summit. It also starts at the lowest elevation (1,450 meters, or about 4,757 feet), but is a relatively gentle slope. This trail isn't recommended for beginners or non-hikers since it takes longer and there are fewer huts along this trail. The 5th station of this trailhead is also the least developed, with only a small shop and restrooms. On the plus side, there are far fewer climbers, since they only get about 10% of the traffic of the Yoshida trail. Estimate about seven hours to ascend, and three hours to descend. Keep in mind that it is possible to go up one trail and come down another if you use public transportation and carry your belongings with you. The trails are well posted and the posts are color-coded. Be sure to carefully follow the signs. All the trails, except the Fujinomiya Trail, have separate paths for ascending and descending. Although not as popular, there are other trails on Mt. Fuji! But information in English is harder to find. One that has become popular is the "Prince Route," called such because the crown prince of Japan took this route when he climbed. It starts at the Fujinomiya fifth station but cuts over to the Gotemba Trail so that it passes by the Hoei Crater, the large crater on one side of Fuji formed by the 1707 eruption. A Japanese route map can be found here. There is also a sea-to-summit route that begins in Fuji City in Shizuoka Prefecture. The official mapped course takes four days in total. Day four is the climb to the summit. Information on that can be found here. There are several different climbing plans to choose from. The following presumes a start at the fifth station. Most people, especially on their first ascent, start their climb at midday or late afternoon. Aim to arrive at the eighth station in the early evening and stay in a hut for the night, where you can have a small meal and rest or sleep, though said huts are often crowded with other hikers. Wake up at midnight to start your final push for the summit, that way you can be at the top when the sun rises. The advantage of this plan is seeing the sunrise from the top, which is undoubtedly breathtaking. The disadvantage is that practically everyone else is doing the same thing, so it's very crowded. It's prudent to book your hut well in advance. Another alternative is to start climbing much earlier in the day to be on the summit to witness the sunset. After watching the sunset from the top, climb back down to one of the huts (often at the eighth station) and spend the night there, rising early enough to see the sunrise from the hut. It's important to make sure you choose a route which actually has a non-summit sunrise view. After sunrise descend the rest of the way, well ahead of the sunrise crowd at the summit. This is essentially a one day hike up and back with no overnight stop. This plan has become increasingly popular, but it is NOT recommended by the official Mount Fuji climbing website since it is incredibly physically demanding—it requires both an early start and you must be in good physical condition. The climb from the fifth stage to the summit on the Yoshida Trail averages about six hours and 30 minutes to ascend and three hours and 30 minutes to descend, all with an elevation gain of nearly 1,500 meters (or about 4,921 feet). The advantage is not having to pay to stay at a hut and avoiding most of the crowds. The major disadvantage is an increased risk of altitude sickness due to less time resting on the way up. It's worth noting that hikers are far more likely to get injured this way as well. Some say that the most challenging part of preparing for a climb up Mount Fuji is arranging a mountain hut to stay in. Referred to as yama goya in Japanese (山小屋), there are over 40 huts on the mountain that offer meals and rooms where climbers can rest, and usually sell concessions like water or snacks. Advance reservations are necessary to stay in one of the huts. They fill up quickly, especially on weekends (particularly Saturday nights), so plan accordingly. Some of the huts begin accepting reservations as early as April, so planning ahead is important. Many of the websites listing the huts—and the contact information for the huts themselves—are in Japanese, which can be difficult to navigate for foreign visitors. An up-to-date (as of July 2018) list in English of all the huts on the Yoshida Trail can be found here, as well as a link to the 2017 list for all other trails. The huts must be paid for in cash, and are very simple affairs. The sleeping and resting areas are relatively small bunkhouse-style spaces, with each patron allotted a sleeping bag and a small, plastic-wrapped pillow. Personal space is very limited, with often just enough room for you and your pack. Just look at the above picture of our editor Nick, who doesn't usually snuggle so close to his friend despite their shared affection for one another! Depending on the hut, sleeping areas may be mixed gender. Preparation is perhaps the single most important part of any climb. Understanding what you'll need, when you'll need it and what you should wear ahead of time can remove a lot of the difficulty of the hike itself. One of the risks many people don't consider when climbing Mount Fuji is hypothermia. Since the climbing season is in summer, it is not unusual to start out from Tokyo in 32 degrees Celcius (about 90°F) weather. But the summit of Fuji averages no more than 10 degrees Celcius (50°F) even during the warmest months and can be below freezing in the early morning hours before the sunrises. Also, the wind at the top is intense! All this is to say that when climbing it is very important to dress in layers and to have warm winter clothes with you. One experienced climber recommends preparing clothes as if going on a winter hike. Essential items to bring on the hike include waterproof jacket and trousers (or rain gear), a warm hat, gloves and a fleece and/or down jacket. It is also better to wear proper hiking trousers if possible, and not jeans. Jeans can get very heavy if they get wet and take a long time to dry. If they do get wet, either from sweat or rain, instead of keeping you warm as you move to higher elevations, they will cool your body which can be both uncomfortable and dangerous. In addition to the warm clothing, if you are planning to see the sunrise, a headlamp and/or flashlight is essential. And let us not forget footwear. You'll hear stories of people making it to the top in their tennis shoes, but proper hiking boots are strongly recommended for Fuji. It is very rocky, and you don't want to destroy your shoes or roll your ankle. Gaiters are also something recommended to help keep the small volcanic stones out of your boots, especially during your descent. Like most of Japan, on Fuji cash is king. The mountain huts only take cash. You will also need plenty of ¥100 coins to pay for the public restrooms available on the trails to the summit, which they charge as a maintenance fee. ・A map. Cellular signal can be pretty spotty on the mountain. ・At least two liters of water. ・Snacks. Enough for a roundtrip! ・Trash bags for garbage. There are no garbage cans on Mount Fuji, so you have to take your garbage back with you. ・Portable toilet(s), in case you needed a pit stop and there’s no restroom available. ・A dust mask, especially for the descent. ・A hard hat or helmet. ・First-aid kit that includes aspirin or other painkillers. Portable oxygen can also help you adjust as you climb. ・Small towels, for sweat and general use. A wooden walking stick is a common souvenir, especially for first-time climbers. It can be purchased at the fifth station, and for a small fee you can get a seal affixed to it at each subsequent station. They are pretty cool, but not necessarily the most practical walking stick for use along the way. Snacks and water are available at the huts along the rounds to the summit as well. But the higher you get, the higher the prices get! It's cheaper and more convenient to bring plenty of water and snacks with you. All four of the fifth station trailheads can be reached by bus. In fact, a bus is the only way to get to the trailheads during the climbing season, since the roads to the all 5th stations—except for the Gotemba Trail—are closed to private vehicles. Both the Yoshida Trail and the Fujinomiya Trail can be accessed by buses leaving from a number of different train stations, most notably the Shinjuku Station Expressway Bus Terminal. The Gotemba Trail and the Subashiri Trail can be accessed by buses leaving from JR Gotemba Station. More information on how to access the different trailheads can be found here. The Yoshida Trail's Fuji-Subaru Line 5th Station is arguably the easiest to get to from Tokyo, and it's also the cheapest. There is a direct bus from Shinjuku Station, with frequent departures during climbing season. It requires a reservation, which can be made in English here. Climbing Mount Fuji isn't exactly free. Anyone setting out to climb is asked to donate ¥1,000 (about US$9). The money is used to help conserve the mountain and for the maintenance of the trails and public restrooms, rescue and safety personnel and first aid stations. Upon paying this fee, you will receive a wooden charm with the year stamped into it (like this one here). We also recommend that you register your hike before setting off, although it isn't a requirement during climbing season. This can also be done at the fifth station of each trail. All you need to do is provide your name, your intended route and some emergency contact information. The fifth stations of the trails all have parking areas, restrooms, and at least one shop. The most popular is that of the Yoshida Trail—officially named Fuji Subaru Line Fifth Station—which is a developed tourist area with plenty to see and do. In addition to an information center, there are restaurants, souvenir shops, equipment rental shops, rest houses/huts with areas to sleep and also coin lockers. Some people take the bus from Shinjuku to Mount Fuji just to spend time at the fifth station, so it can be quite crowded and has a pretty festive atmosphere. The summit of Fuji is also a lively place, complete with restaurants, souvenir shops and even vending machines! There is a post office from which you can send a postcard or letter, complete with a special stamp available only there. If you have enough energy—and do remember that you will need energy for your descent—and if the weather permits, you can do the hike around the rim of the summit, which is called ohachimeguri in Japanese. There are eight named peaks as you walk around the rim of Fuji's crater, including Kengamine, which is officially the highest point of Japan at 3,776 meters. 1. Easily forgotten but quite obvious is the fact that Mount Fuji is a volcano—an active volcano. While it has not erupted since 1707, an eruption is still technically possible, which is why the official climbing sites suggest bringing a helmet. 2. Follow good hiking manners—take only photos, leave only footprints. Whatever you bring with you, take home with you! Keep this gorgeous icon clean and happy. 3. Stay on the designated hiking trails. Especially if stuck in a “traffic jam” or behind slower hikers, it may be tempting to step off trail to go around them. It may also be tempting to take a more direct route up. This is strictly prohibited. Stay on the trails! This is for your own safety but also helps to protect the mountain itself. 4. Your pets should be left at home, no matter how much you want a selfie with your furry best friend! 5. If you opt to use hiking poles, make sure they are capped on the end, and not spiked. 6. Altitude sickness is a very real possibility on Fuji. I have a friend who had to be assisted off the mountain before reaching the summit after suffering from a bad case of altitude sickness and several other friends whose experiences were less than enjoyable for the same reason. Symptoms of altitude sickness include headaches, nausea, vomiting, dizziness and trouble breathing. To decrease the risk of altitude sickness, spend a couple of hours at the fifth station (and takes small breaks at subsequent stations) to allow your body to adjust to the atmosphere at increased altitude. There are cans of compressed oxygen available for purchase that can also help alleviate the symptoms of altitude sickness. Ensure that you are in good physical condition when you make your climb, and get plenty of rest the previous night. 7. Things get very crowded on weekends and holidays, especially Saturday nights. If possible, schedule your hike for a weekday. It may be helpful to check the projected congestion calendar as well. 9. For a relatively small fee, you can get a certificate for summiting Mount Fuji. You can apply online here and follow the instructions to receive the certificate. Be sure to get a selfie at the summit to prove you did indeed make it to the top—it's required to apply for the certificate. 10. The weather can change very quickly on Mount Fuji due to its height and isolation from other high peaks. Sudden storms, lightning and high winds are common, even on days that are perfectly clear and calm in Tokyo. Be aware of the weather, and remember that staying safe is ultimately more important than summiting if the weather turns bad. For more information on climbing Mount Fuji, please visit their official site. Keep track of up-to-date weather forecasts at different elevations on the mountain as well. For more articles about everyone's favorite mountain, visit All About's hub for all things Fuji!